It's quite cute, and has promise. I've just started the show and since the introduction I've had a silly little grin on my face. I think it'll be a good show to follow. This along with a few others will make this season exciting. Really can't say much after 1 episode, but the art style and music are both very good quality. The story seems really interesting so far as the main protagonist is thrown into a different new world. One aspect of the anime that I really liked is the fact that the protagonist is a otaku and as a fellow otaku I was able to share his excitement. Overall, I really enjoyed the first episode and look forward to the rest of the season. This story definitely has some potential, the main character has so many moments when you want to just facepalm and yell "WHY DID YOU DO THAT" at him. The whole transported to another world idea's been done soooooo many times but this one has the potential to be pretty good. Nowhere near the best show this season, but above average for sure. This is actually a surprisingly good show. I picked it up for the premise: Otaku gets job in alternate universe spreading otaku culture. "LOL," I thought, "this sounds funny". But when I actually better than just that, especially in episode two. The main character teaches his half-elf maid Japanese, and reads her manga, and anime, manga, and game references abound. It's really funny, but it doesn't stop there. The show also deals with societal issues such as how Myucel (the maid) gets looked down on by society by the loli princess of the land. Also, of course, this show silmultaneously delivers and spoofs otakudom and moe. (Much like Oreimo) All in all this isn't a great show but its very funny and it's got where it it counts. Pretty good for a wish fulfilment harem anime. What would we do if we encountered an isolationist feudal society? Cortes and Pizarro would burn it to the ground and plunder everything. Mathew Perry would bring in the warships and force it to open trade at gunpoint. Captain Kirk has made first contact so often that he has a formula: encounter a 'stagnant and backwards' society, pretend to be friendly, teach them the error of their ways with a show of force or through treachery, impose righteous federation ideals, and seduce their women. What does the bureaucratic and incompetent Japanese government do? They send in a previously unemployed hikikomori to spread otaku culture (hikikomori is probably worse than smallpox) and possibly create a market for anime. 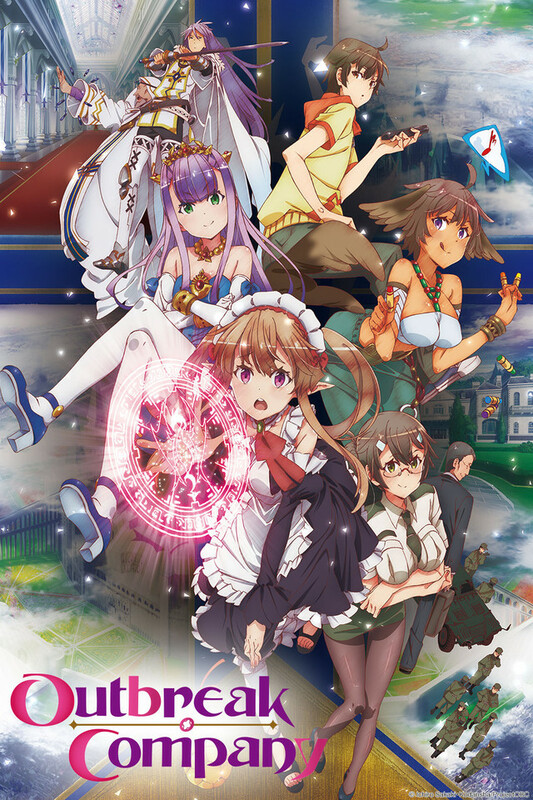 This seems like a lame start up for a wish fulfillment harem anime (which it still is), but things get interesting when our protagonist finds that social changes are necessary before manga will catch on and takes a role similar to that of the nanban missionary in southwestern Japan. Rather than only importing manga and literary culture, he finds himself in the dangerous position of introducing modern ideas that are completely at odds with the foundations of the feudal society and possibly at odds with factions within the empire. I am not sure how this will pan out, but it will probably be interesting. Worth watching. At least give it two episodes before deciding it's not for you. +/- Pretty generic characters so far, but they fit the story. -When stripped of all its redeeming qualities, it's a wish fulfillment moe harem show. the title seemed to hide what this show is about. I always take a chance and view at least two episodes before making a decision whether its good or not. this show took me in by the end of the first episode. there seem to be a lot to each character that its hard to even know what will happen next. its not boring or slow for a show that doesn't have a lot of shooting or fighting. the inner story of the protagonist is not as deep as the other characters around him. I have to see more as it comes out to the US one episode a week. great show! not too sure about the title.